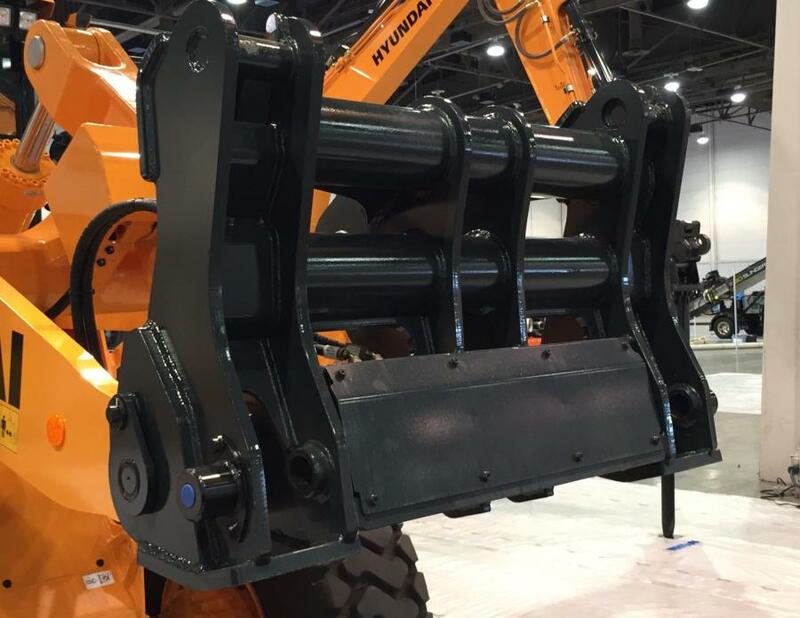 At the World of Concrete expo in Las Vegas, Hyundai Construction Equipment Americas Inc. introduced this newly redesigned quick coupler for its HL900 series wheel loaders. Hyundai Construction Equipment Americas Inc. introduced a newly redesigned quick coupler as an available option on the Z-bar models of its HL900 series wheel loaders. 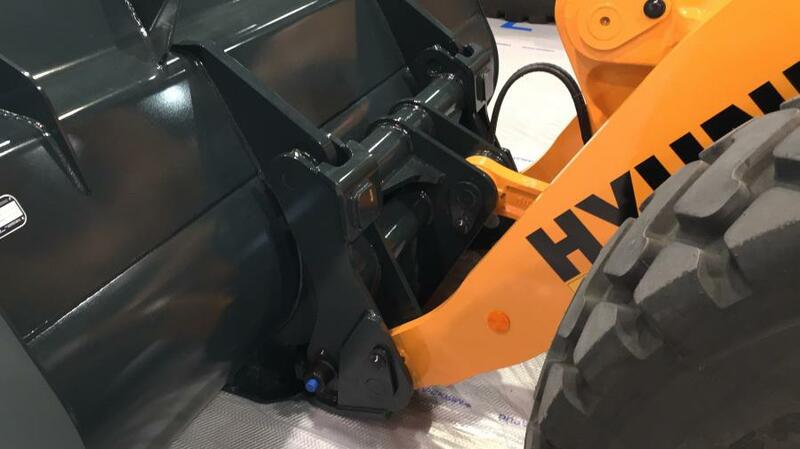 The company displayed the new quick coupler on the HL955 wheel loader in its exhibit (booth C7213) at the World of Concrete exposition at the Las Vegas Convention Center. When purchased with a new Hyundai wheel loader, the quick coupler carries Hyundai's industry-leading three-year/3,000-hour warranty.